I’m a little too hairy to wear a tank top, but this heat wave has got me wishing that I could. 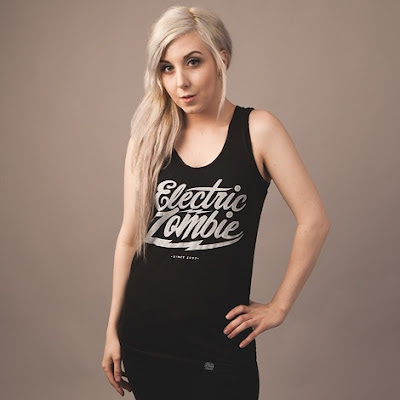 For all of you that can, Electric Zombie has a great summer sale going on – $10 tank tops until Monday 06/25/12. I own the t shirt version of this tank – simple, hand drawn type in a simple color combo. Sizing is unisex; be sure to get it before the sale is over. The weather is getting warmer, soon it will be time for t shirts and shorts for the guys, and hopefully tank tops and skirts for the girls. Ladies can get nerdy with this tank top from Death Shred. It’s also available in a t shirt for guys, but sizes are really limited – I’m disappointed I missed out on it.